Business Insider published a concerning report about Facebook CEO shutting down a pro-Trump page comprised of employees of the tech giant. 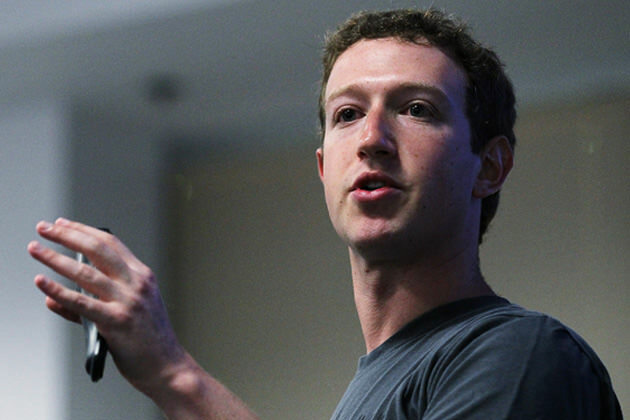 Zuckerberg claimed the page was shut down because it was being used to ‘harass’ people. However, the report made no mention of any evidence harassment took place inside the group. The internal group, named Facebook Anon, was created in May 2015 as a way for employees to freely share concerns and opinions about the workplace. But Facebook shut the group down in December 2016 for what Zuckerberg later described as spreading harassment. The previously unreported incident highlights the tricky balance Silicon Valley tech companies face between protecting their employees’ rights to free speech and combatting hate speech. Earlier this month, a Google employee’s internal memo criticizing the company’s diversity initiatives caused an uproar inside and outside the company. James Damore was fired and quickly became a celebrity to members of the “alt-right,” who said he represented an example of Silicon Valley’s intolerance for conservative viewpoints. Facebook caused a stir among conservatives when it was accused of demoting right-leaning news outlets last year. And as Facebook centers its mission statement on creating groups for its consumer service, Facebook Anon is a telling example of how one of its own internal groups backfired. “Facebook’s mission is to give people the power to build community and bring the world closer together, and a cornerstone of our culture is being open,” Facebook Head of People Lori Goler said in a statement sent to Business Insider on Wednesday. In the last 24 hours more than twenty Catholic pages, some with millions of followers, have been blocked by Facebook for unknown reasons. Of the known affected pages, 21 are based in Brazil, and four are English-language pages, with administrators in the U.S. and Africa. Most of the blocked pages had significant followings – between hundreds of thousands and up to 6 million followers each. Catholic pages are not the only ones to have come under fire by the social network, as “Ex-Muslims” have reportedly had their pages shut down as well. A group of “atheists, secularists and ex-Muslims” has accused Facebook of not providing any tools or mechanisms to stop coordinated reporting and flagging campaign on their pages starting Monday. Atheist Republic (1.6 million likes), Ex-Muslims of North America (24,000 members) and 10 other groups which are affiliated with nonprofit atheist organizations were temporarily blocked from the site. Facebook allegedly unpublished these pages and blocked posts from appearing in News Feeds for a week because the pages violated the site’s terms of service. The site did not specify which standards were violated; however, Facebook’s community standards state that if enough people flag a page it will be taken down automatically.